It seems it’s become Eagle County summer tradition. One (big?) so-called ‘Absolute’ Real Estate Auction a summer. What hasn’t changed is that the State of Colorado still doesn’t regulate Real Estate Auctions – so it’s 100% probable (and legal) for the word ‘Absolute’ to mean different things to the Seller and prospective Buyer. The latest and certainly most publicized property headed to the Auction Block – has an advertised early bid on their books at about $6 Million for that Arrowhead located trophy property. This prompted some local Brokers to claim “Hey! that’s NOT an ‘Absolute Auction’ – this amounts to an Auction with a ‘$6 Million dollar Reserve bid’! Mind you, it’s all 100% legal in our unregulated Auction State of Colorado. Further a public record search reveals that the property currently has a first mortgage of $4.5 Million (to Midwest Bank) and a 2nd of $1.4 Million to (Community Bank). By the ECT’s math that’s about $5.9 Million in debt – just shy of their $6 Million Bid – allegedly on their Auction books today. This is the point at which the public record information dwindles. Speculation at this point ramps up. We don’t know the exact Sales dollar figure that will allow the current owner to deliver title to the property at closing – without permission from the banks holding his mortgages. ECT has been told (per the Auction contract) there is a 10% buyer premium paid to the Auctioneer plus a 1.5% transfer fee payable by the buyer at the time of closing. Allegations, Allegations. Some local Brokers insisting it is legal for this property to be pulled off the Auction Block before the advertised ‘Absolute’ Auction date of August 6th this year…if a certain number (well north of $6 Million?) isn’t Bid before August 6th. Absolute Auction? You decide. Time will tell. We’ll certainly know more by August 7th. « Avon – Suddenly the worst place in Eagle County – to own Property? “State of Colorado still doesn’t regulate” and “it’s all 100% legal in our unregulated Auction State of Colorado” one could think the editor is proclaiming the need for more government regulation of business. If so, the publisher should find a Democrat to sponsor the legislation…since Republicans and most conservatives (not this blog of course) would label it as a job killing over reach of big government. Just trying to help, Hi-yo, Silver! Away! why is further or any regulation needed? have there been problems or lives destroyed? So let’s all see how it goes….then draw conclusions about regulations, OK? Since there are no fact sources in the article, I thought that I would provide some. 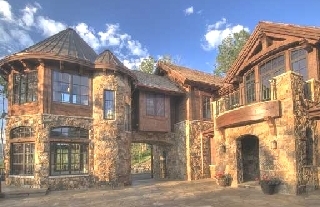 Concierge Auctions is conducting an Absolute Auction for the Arrowhead property on August 6th. The definition of an Absolute Auction is that the property will sell to the highest bidder on auction day. An opening bid is in place – not a reserve. Concierge invites buyers to start their bidding with opening amounts, and there are incentives offered for $6.5mm and $8mm opening bids – both of which seem like a bargain compared to the assessed value you included. Incentives are detailed in the bidding package. The auction starts at 6pm on August 6th. Not sure if it is selling for $6mm, $6mm + a dollar or $10mm, but someone else will own it at the end. I have included a link to PRNewswire about the opening bid. Mike…The ECT story had the FACTUAL (web link) to the Eagle County Assessors office – most recent property appraisal…. I saw the factual link as far as the assessors office and did comment on that part being there. Mike….we need to get you on the same page. re: Difference between FACT and ALLEGATION. So far, Concierge Auctions – has advertised plenty of ALLEGATIONS and so far has not offered any PROOF. You claim CA has a $6 Mill bid on your books…OK, let’s see it. Email it over to the ECT (PDF please) and we’ll put it online and note it as fact. Absolute Auction: An auction where property is sold to the highest qualified bidder with no limiting conditions, contingencies or amount, and is time-defined. By nature, Absolute Auction promotes a sense of buyer urgency (to perform by a specific time or forever lose the opportunity to buy). Absolute Auction is the only form of marketing that will convey this message. By using the Absolute Auction method, auctioneers attract the largest pool of qualified, competing purchasers thus creating maximum value and Absolute Auction demonstrates seller commitment. More than 90% of auctions use the Absolute Auction method. Minimum Bid: An auction where auctioneers accept bids at or above a published price. While this type of auction seems to reduce seller risk, Minimum Bid Auction also limits interest in the auction. Minimums must be low enough to act as inducements rather than as a hindrance. Minimum Bid Auctions typically generate considerably less marketplace interest than Absolute Auctions. Reserve Auction: An auction where sellers reserve the right to establish a reserve price to (in effect), accept or decline any and all bids, or to withdraw properties at any time prior to the announcement of the completion of the sale (by auctioneers). Though seemingly creating a seller safety net, Reserve Auction also conveys (to buyers) seller’s reservations. Of the three types of auctions, Reserve Auctions generate the least amount of marketplace interest and are the least successful. Who’s to say whats happening behind the scene here…..Can the Seller convey title w a 6MM bid? Plus pay the auction Co. Is the 6MM buyer real? Can the Seller cancel the auction prior to auction day? “The Division of Real Estate is the licensing, regulation and enforcement agency for the real estate broker, appraiser and mortgage loan originator industries. It appears that there is a vast loophole; no licensing, no regulation, no enforcement, no guidelines, no consumer protection for real estate auctions in Colorado.